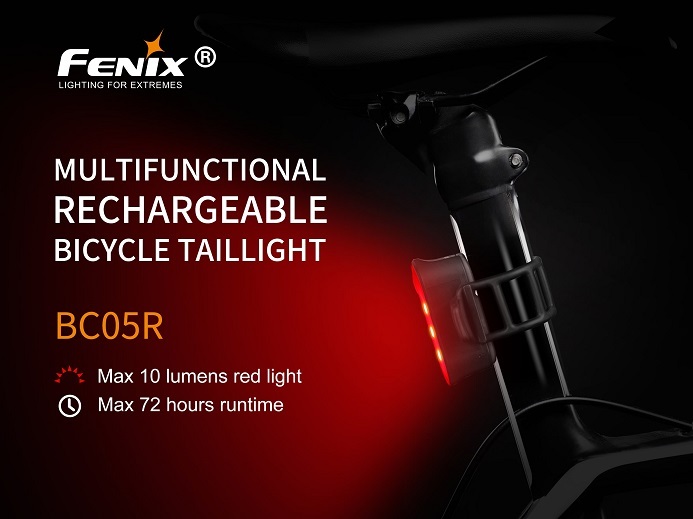 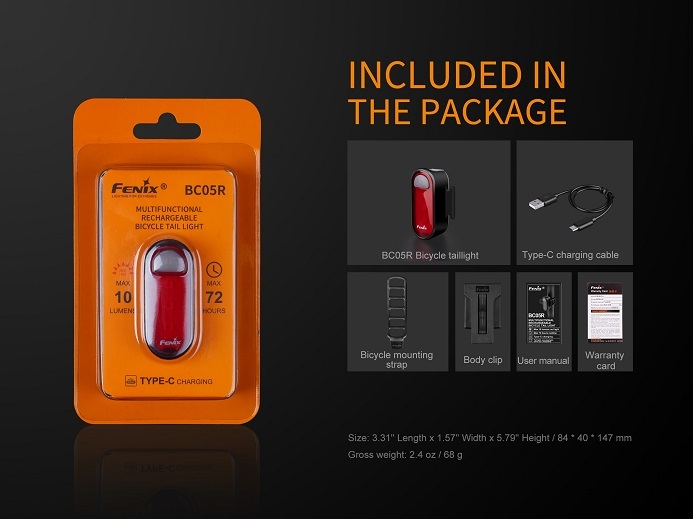 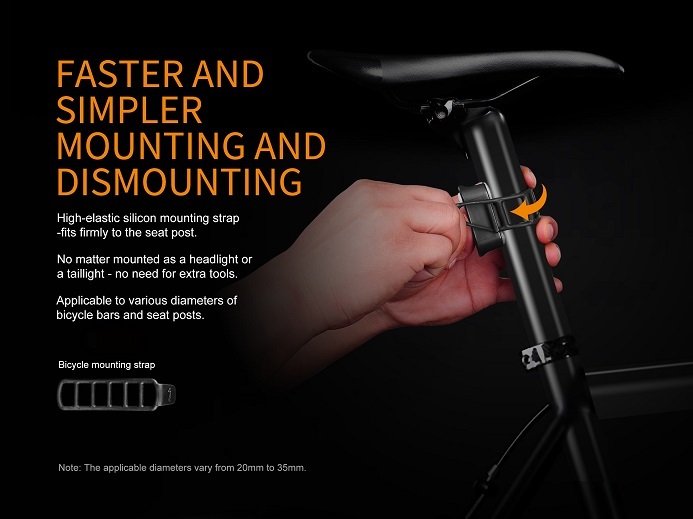 The Fenix BC05R is a versatile rechargeable bicycle tail light. 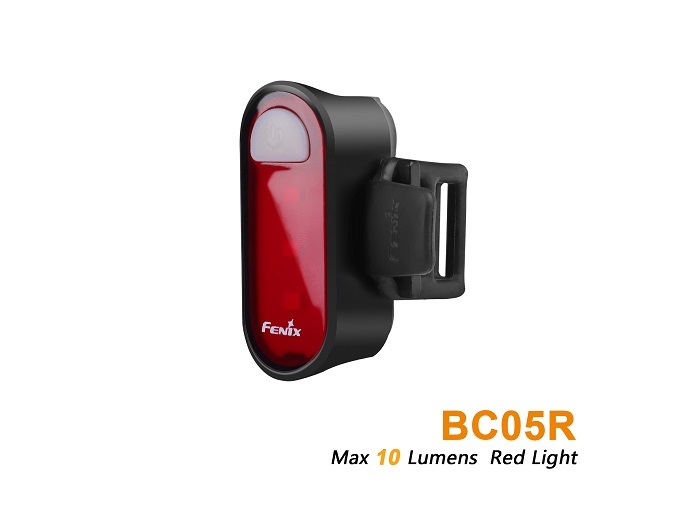 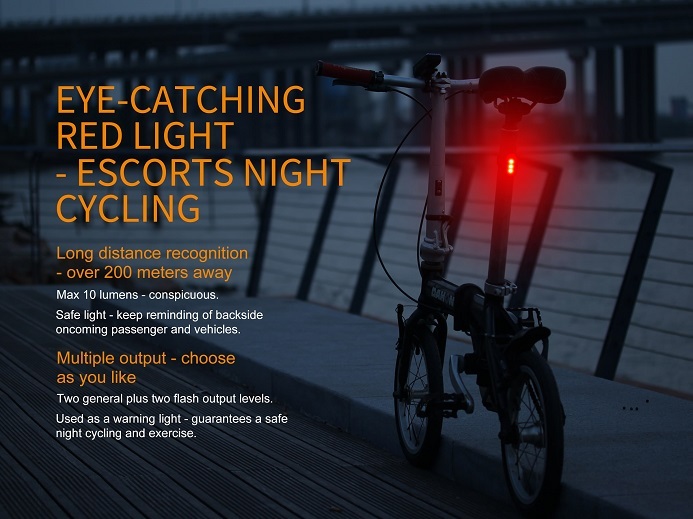 Max 10 lumens eye-catching red light which is visible over 200 meters away, guarantees safer riding at night. 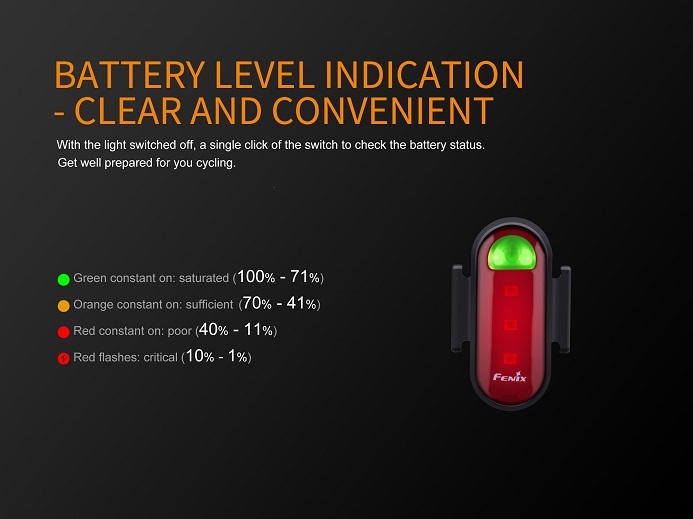 The built-in 240mAh Li-polymer battery delivers a max runtime of 72 hours, long lasting for one month of a 2-hour commuting everyday. 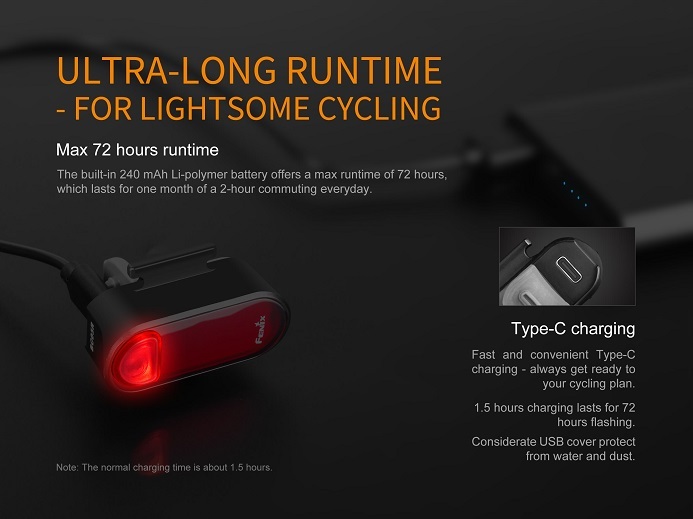 Type-C interface offers fast and convenient charging. 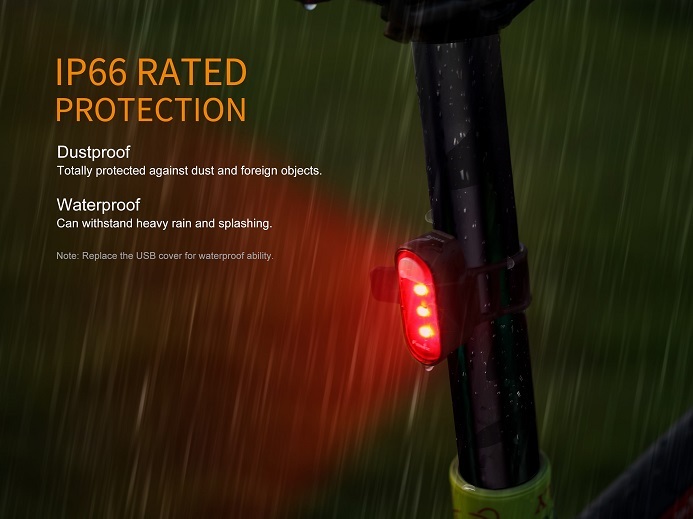 IP66 rated protection. 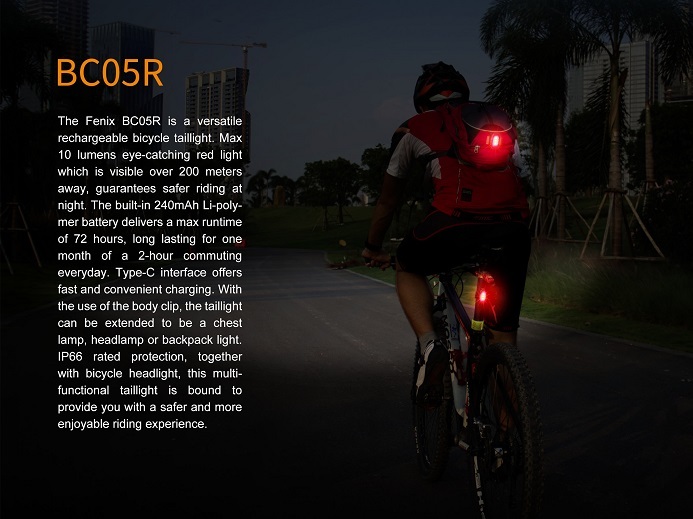 With the use of the body clip, the tail light can be extended to be a chest lamp, headlamp or backpack light. 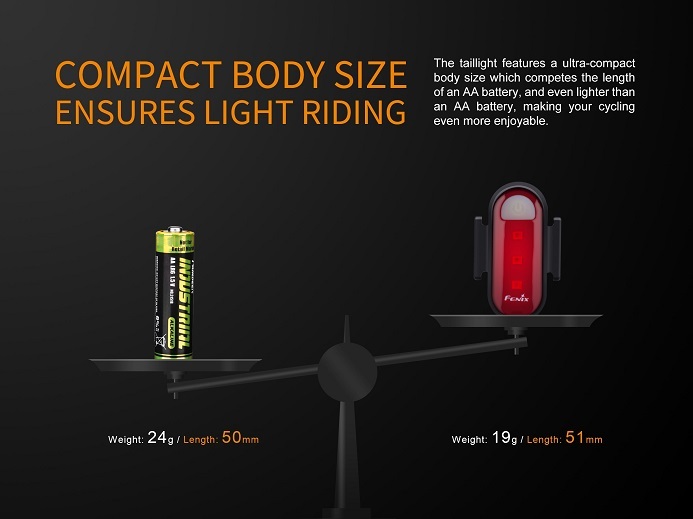 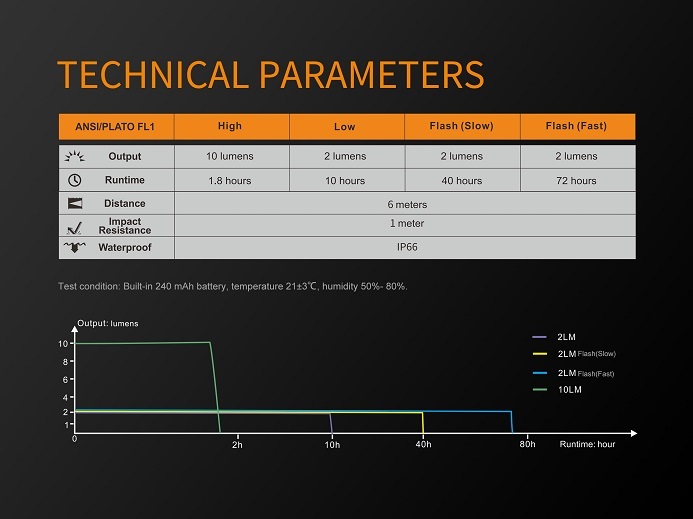 Compact size, high performance and lasting runtime. 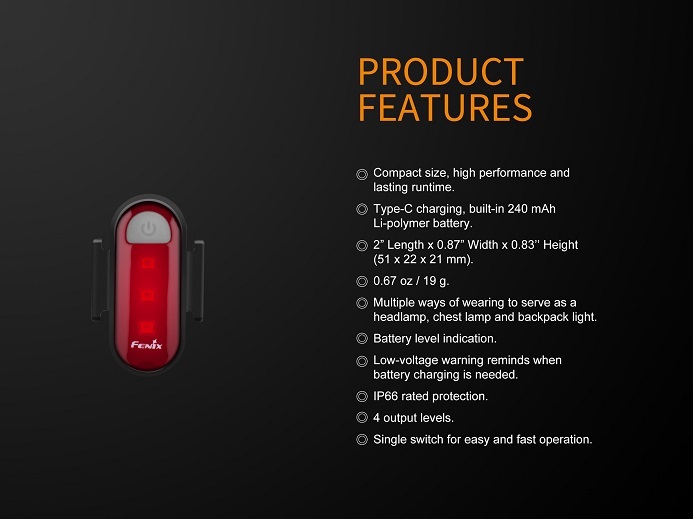 Built-in 240 mAh Li-polymer battery. 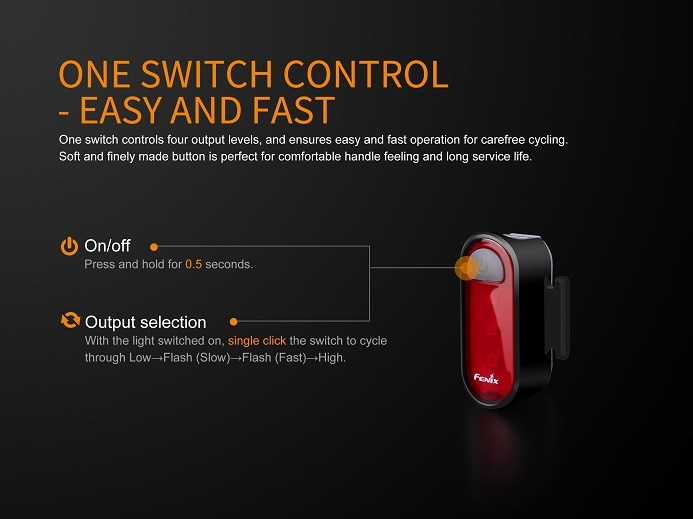 Single switch for easy and fast operation. 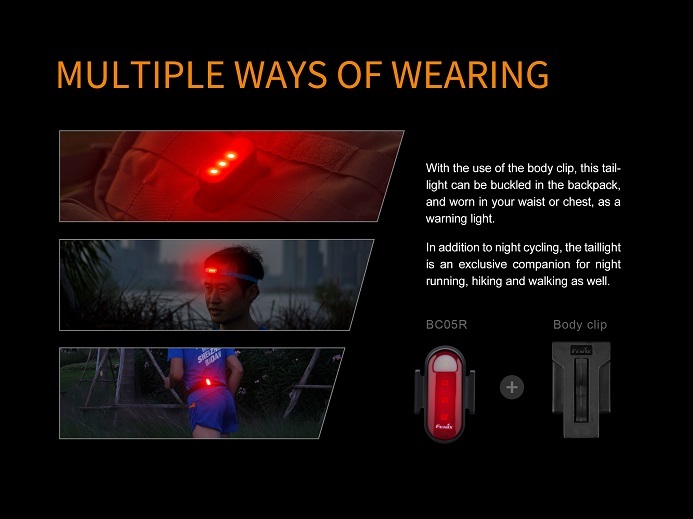 Multiple ways of wearing to serve as a headlamp, chest lamp and backpack light.